The homeowners are responsible for the upkeep of sewers or drains by cleaning them on a regular basis. However, blocks that can take place beyond the boundary of homeowners cannot be eliminated. In that kind of a situation, you need to seek the assistance of a professional plumbing company. Main reasons for sewer and drain blockage. 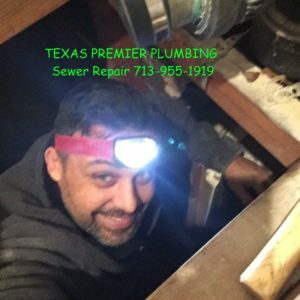 Texas Premier Plumbing Sewer Repair Services. Transformation of rain water – Some of the sewer repair services use green methodologies in order to assist the people in need. They would focus on directing rain water into your plumbing system. In here, rain water will be collected, filtered, purified and sent directly into your system. This would be a cheap and a cost effective method available for you to consider. Trenchless Water Supply – This is one of the latest sewer repair technologies that are being used by professional service providers. This technology has the ability to replace pipes without going through your walls or tearing down your walls. As a result, it can be considered as one of the most convenient methods available for you to deal with sewer repair. Epoxy Water Lines – This method focuses on directing the waste water into the main plumbing line of the city. It would come along with epoxy piping. They would never break, crack or leak, so you would be provided with the opportunity to keep peace of mind in the long run. You should not attempt to repair your sewer issues under any circumstance. It is always recommended to seek professional assistance as it can help you to save a lot of time as well as money. Looking for sewer repair in Houston TX would not be a difficult thing to do. You will be able to find a large number of service providers, who offer the above mentioned types of sewer repair services. However, you need to go through the reviews and select a reputed service provider out of them. Then you can get your broken sewer repaired and stay away from frustration. Call the professionals at Texas Premier Plumbing 713-955-1919. 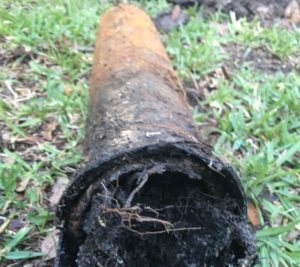 Our licenses plumbers can preform a camera inspection to determent were the repair is needed and will be happy to provide a quote for your sewer repair.